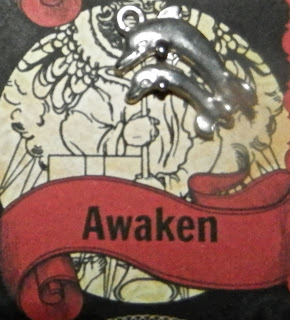 Today's Draw: Dolphins from Tierney's Charms in the Awaken position from a Carrie Paris casting sheet. When was the last time you did something purely to make you giggle? How long has it been since you've had hella fun? What kind of things are fun for you? Today I drove seven hours (round trip) to attend a one-hour meeting. I wasn't really looking forward to the drive, but I was surprised that I actually enjoyed it. For one thing, it's a beautiful time of year and the scenery was gorgeous. And, second, the drive has many different chunks to it...small towns you go through, fast highway, flat roadway, hilly roadway...so it's not boring. Knowing that I might drive myself crazy with so much driving, I planned some little side trips. Well, one was planned. And the other happened because I got lost. But I found a jewelry store filled with my kind of jewelry, which was a happy surprise. And I drove through the Gettysburg Battlefield (that was the lost part), which was kind of cool. Anyway, my trip back home had these two happy accidents. So when I pulled off to visit a farmer's stand with a big sign that said, "Pie", I thought of how many stops I'd made on the way home. At the mall, where I checked out the new MacBook Pro and found the jewelry store. At the gas station for gas. At BK for some lunch. And at the pie stand for pie. None of these stops took long...maybe an hour total. But they made my trip more pleasant. Which brings us to today's reading. 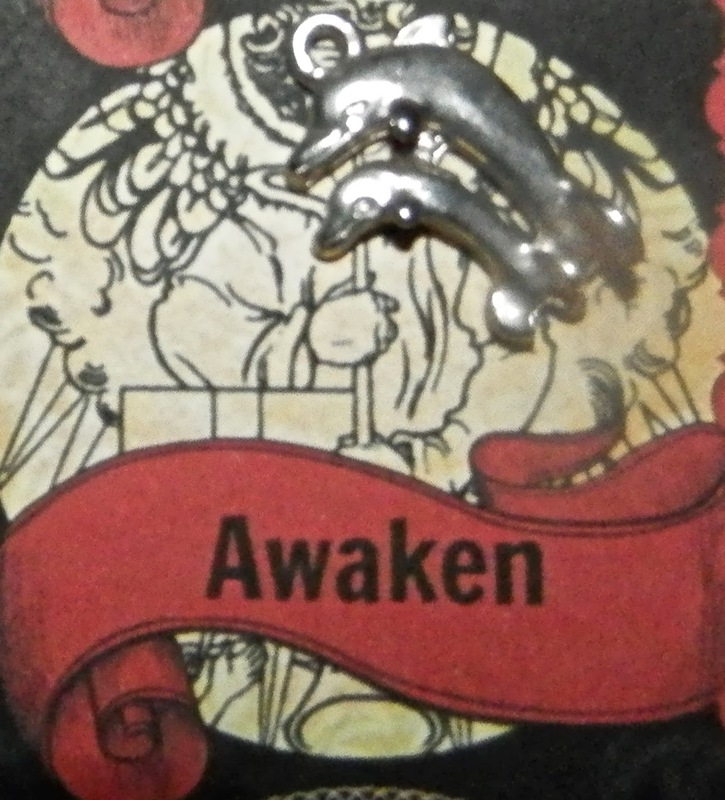 Dolphins in the Awaken position are calling us to awaken that spirit of fun and adventure that we often cast aside to be more efficient and purpose driven. And, let's face it, sometimes we just forget that we get to have fun. At least I do. The whole idea of "play"just for the sake of giggles is not at the top of my priority list. Which is exactly the point. I treat play as a time-permitting option. And time never seems to permit. Which isn't to say I don't have fun. I have a fun job and fun dogs and all of that. But just screwing off for the sake of screwing off? I don't do much of that. I forget it's even an option. And I suspect some of you are the same way. That said, I've been doing more of this lately. I have two friends...I'll call them my "psychic friends". We're all in our 50s and self employed. They are both mediums/psychics/spiritual healers. And the three of us hit the road once a month or so and just goof off. On a "school day", no less. All of us live, eat and breathe our work. And while we love our work, we need to clear the gunk of it out of our heads. So today's reading is reminding us that fun and play for the sake of fun and play is always an option. And if you can't remember the last time you did something like that, it's been too long. You don't even need a companion to do it. Just point yourself in one direction or another and see what comes!